Internet of Things devices are appearing in more and more companies, but with them comes the threat of cyberattacks. To reduce this risk Extreme Networks is launching a simple security solution to help organizations protect unsecured IoT devices. Called Defender for IoT it can be deployed on any network and is easy for even non-technical staff at schools, hospitals, retailers and hospitality venues to use to isolate and protect both wired and wireless IoT devices from cyberattacks. Most IoT devices lack embedded security as they were built to run on private networks where the assumption was it was tightly controlled, and device-level security wasn’t required. Using Defender as part of Extreme's Smart OmniEdge product, the application learns the typical traffic patterns of network devices, and dynamically generates a security policy that locks down what a device communicates with and how it can communicate, thus automating edge network security for the enterprise. Once initial device profiles have been dynamically generated, non-technical staff can easily place the adapter between the device and the network and apply the appropriate security profile using a simple drop-down menu. Defender for IoT allows users to easily segment groups of IoT devices into multiple, isolated secure zones, reducing the network attack surface. Users can also centrally monitor and track device usage, location and roaming. The product works with any vendor's IP network, providing in-line protection of IoT devices and segmentation through IPSec tunnels -- without the need for network changes. 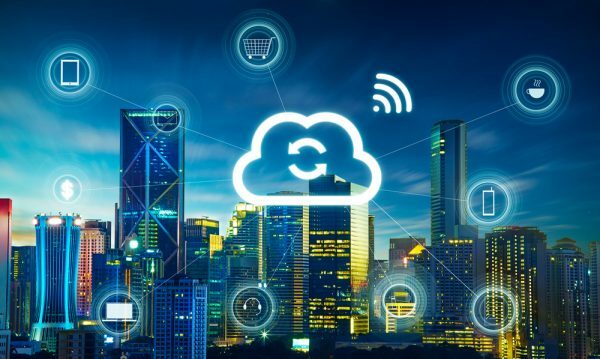 "Businesses are extracting so much value from the IoT revolution that it’s easy to see why deployments are happening fast, and security should not be viewed as an impediment to that," says Mike Leibovitz, senior director of product management and strategy at Extreme Networks. "With Defender for IoT, our goal is not only comprehensive security, but delivering it in a way that is simple and accessible to everyday employees to ensure business productivity is not affected by security protocol. When plugged into our Smart OmniEdge visibility and analytics applications, users can easily control IoT device communication, ensure devices can only communicate with the appropriate resources, and then leverage analytics to prove and measure the outcome. We are the only vendor that can provide this level of granular visibility and control for wired and wireless IoT devices at the point of ingress." You can find out more on the Extreme Networks website.